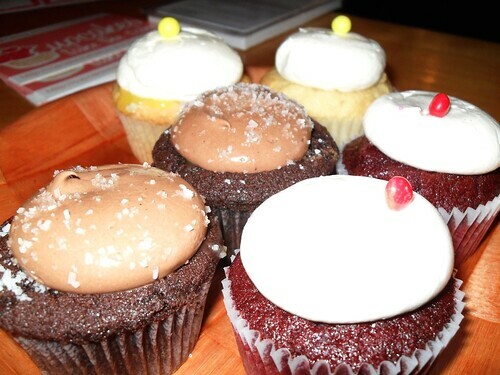 Yesterday, we had a cupcake meetup at Baked in the Brooklyn neighborhood of Red Hook. the weather was cooler and rainy, but we had a nice little group of people who came out. Annie from Annycakes won a copy of Baked: New Frontiers in Baking and Amy won the Food Party apron that I got at IFC Crossroads House at SXSW. We ate six different flavors of cupcakes: Malted Chocolate, Citrus Coconut, Hazelnut, Red Velvet, Salted Caramel and Lemon Drop. Thanks to everyone who came out. 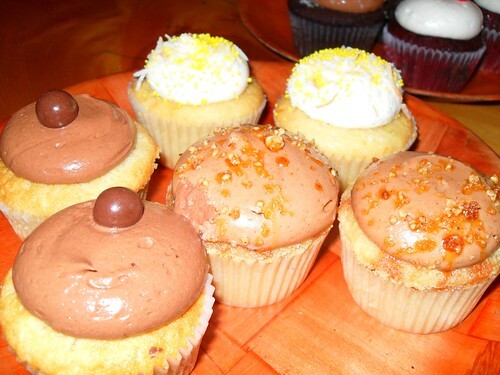 Soon, I will announce our next New York Cupcake Meetup, but note that Friday, April 9 is Cupcake Camp at Happy Ending.